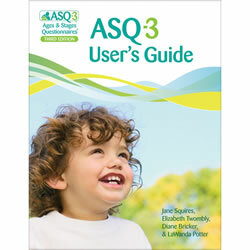 The ASQ:SE-2™ questionnaires are the most cost-effective, reliable way to screen young children for social-emotional issues in the first 6 years of life. 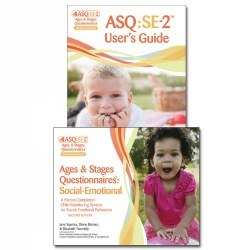 Now in a new second edition, the 9 age-appropriate questionnaires (2, 6, 12, 18, 24, 30, 36, 48, and 60 months) effectively screen 7 key social-emotional areas: self-regulation, compliance, adaptive functioning, autonomy, affect, social-communication, and interaction with people. Includes photocopiable master copies on paper and printable PDF master copies on CD-ROM--so you and your staff will always have the format you want, right at your fingertips. Choose English or Spanish. 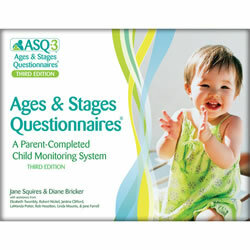 Fast and easy to use, ASQ:SE-2™ questionnaires take just 10–15 minutes for parents to complete. First, parents fill out the questionnaire, checking the response that best describes their child's behavior: often or always, sometimes, or rarely or never. 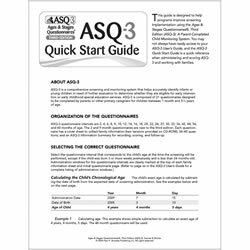 Clear questions help parents complete the questionnaires quickly and accurately, and open-ended questions ask about any related parental concerns. 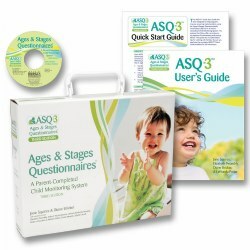 Professionals score the questionnaire in just 2–3 minutes, and then transfer a total score to a simple summary sheet along with any concerns the parent has noted. The summary sheet, a visual indicator of social emotional development and parent concerns, indicates whether any followup should be considered. Total scores that fall in the graph's range of Risk (dark shaded zone) indicate the child may need further evaluation. NEW! A total score in the new "monitoring" zone (light shaded area) helps identify children that may require followup actions based on items of concern. 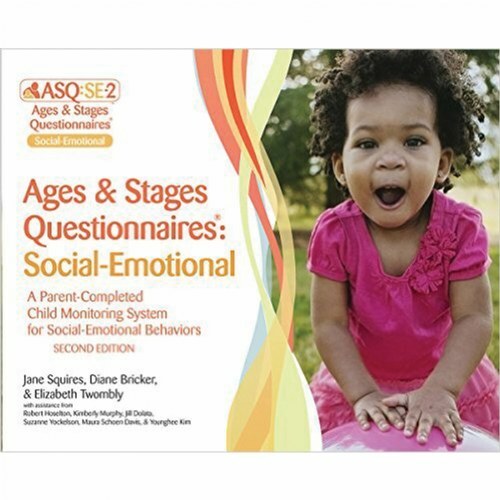 Professionals can work with parents to address behaviors of concern and provide social-emotional development information sheets and activities to help their child make progress before the next screening. 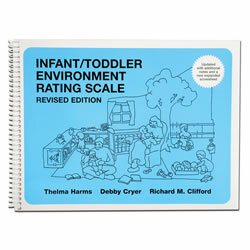 Scores outside the shaded zones mean the child's social-emotional development appears to be developing on schedule. 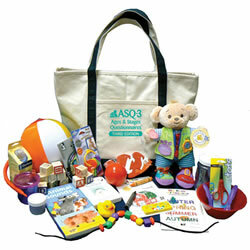 Parents can monitor their child's development by rescreening at the next ASQ:SE-2™ interval.